(08-25-2011 06:20 AM)Codyy Wrote: Let me just verify I am doing things right. I go to configuration->thread prefixes to add the prefix. Incorrect, it's a template prefix, not a thread prefix. You edit the forum to apply the template prefix. This plugin looks great but now I need help to create this custom page, when people enter in my forum with some warnigs and rules. I made the custom template in global template with the code but I don't know how to find where to put the template prefix. In configuration I don't got it. Look image. Can someone help me step by step! This does NOT affect the entire forum, only specific forums you apply it to. Thanks man. Now it's all sorted out! thanks! How can i set a template prefix please? (11-09-2013 02:02 AM)Destroy666 Wrote: In forum settings. Note how he didn't say "Configuration". 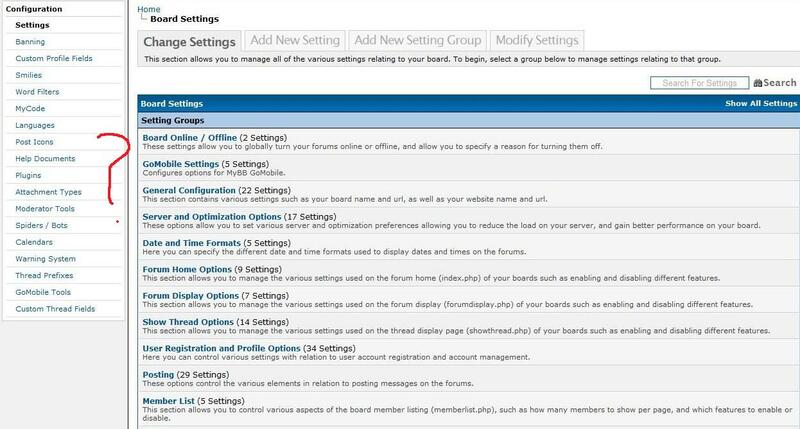 If you don't know where forum settings are, you should definitely NOT be using XThreads. I am sorry. I didn't knew for this to work i must have installed XThreads. My mistake!